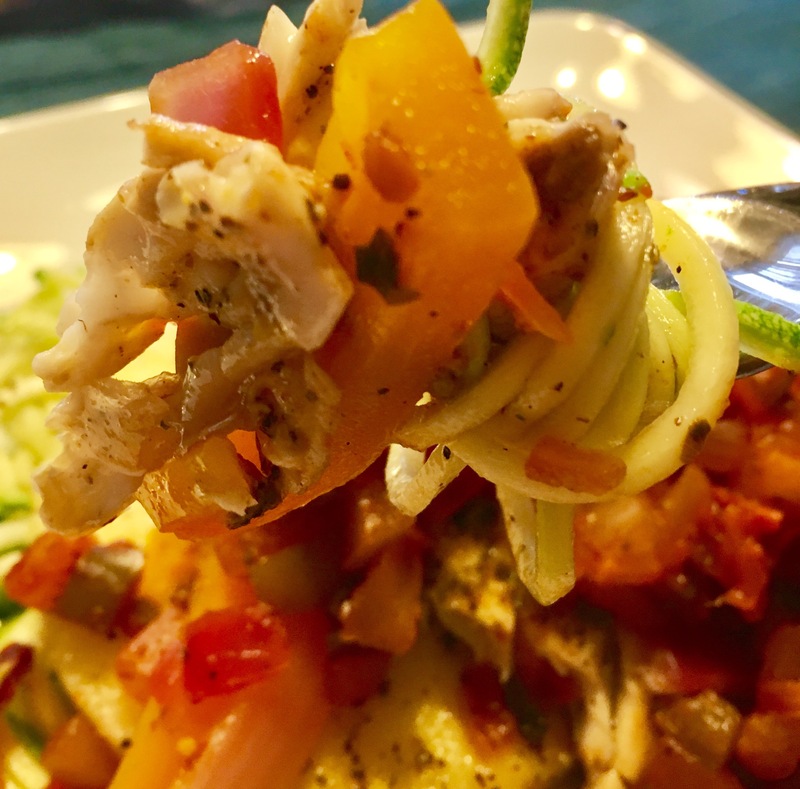 Gone Fishin’ – Eat, Drink, and Go! Ok, so it wasn’t me who actually did the fishing, but I did get to benefit from it!! 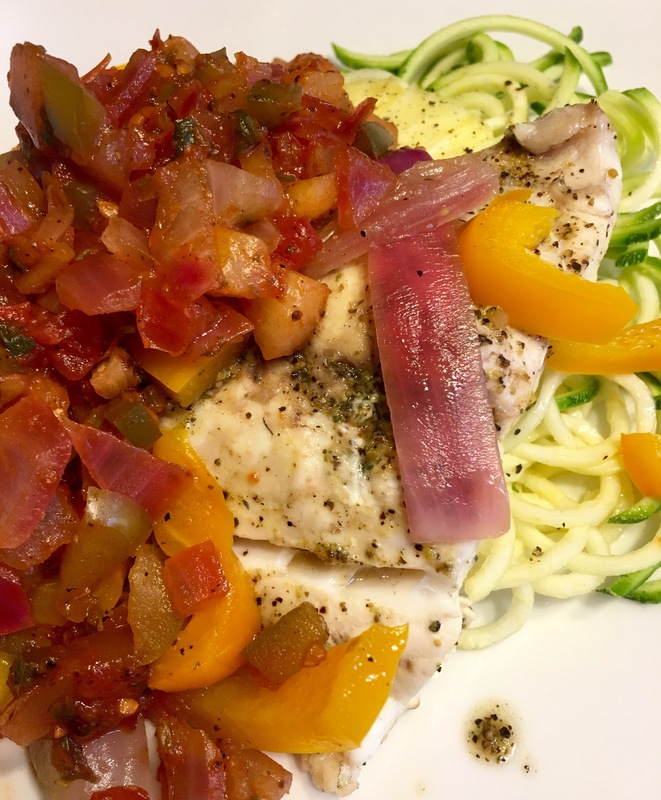 The hubs reeled in a some, fresh rockfish for me to turn into dinner, and this I did. I started with this nice big filet fresh off the boat (they cut and cleaned your catch for you on the charter! Lucky for me, I didn’t have to clean it, but I would have figured it out!). Now that’s a great looking piece of bass. Hehe, nah, it’s rockfish!! Sorry, I couldn’t resist. Anyways, I couldn’t wait to get this fish a cookin’. I went with a simple foil packet. You can use parchment paper if you’re feeling fancy and have some on hand. 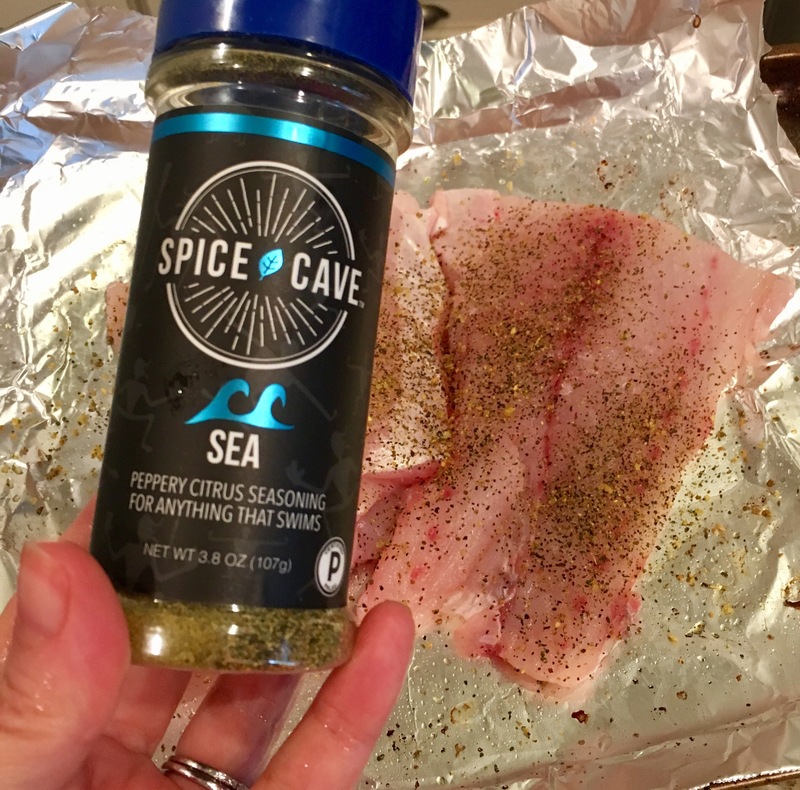 I cut the filet into two pieces and placed on nonstick foil, doused it in fresh lemon juice, and added some of Spice Cave’s “Sea” seasoning. 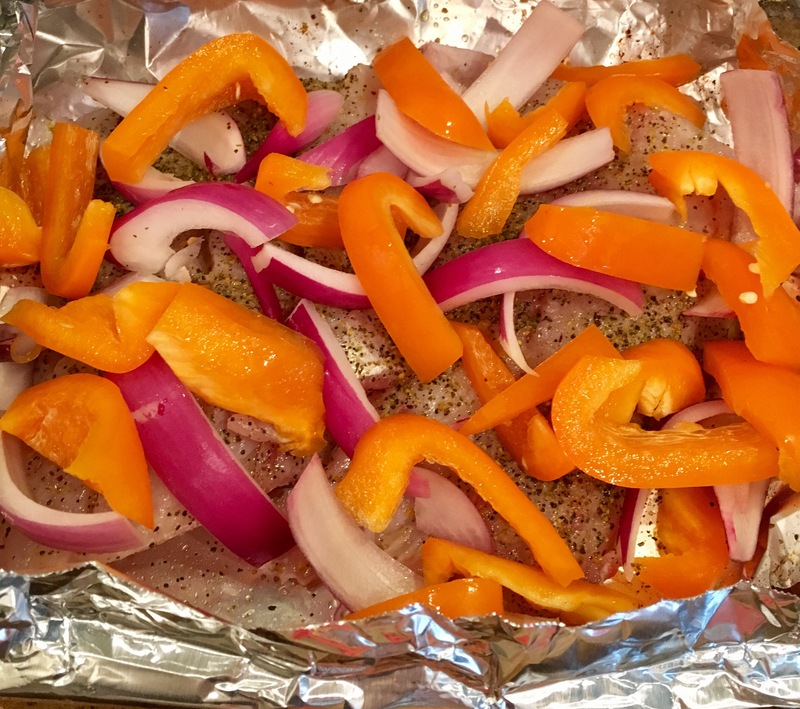 It’s a lemon pepper blend, with a good peppery kick. I sliced up some red onions and orange peppers to cook in the packet as well for some good aromatics. Then I placed another piece of foil on top like a tent and pinched all along the sides to make a packet. Into the oven at 350. 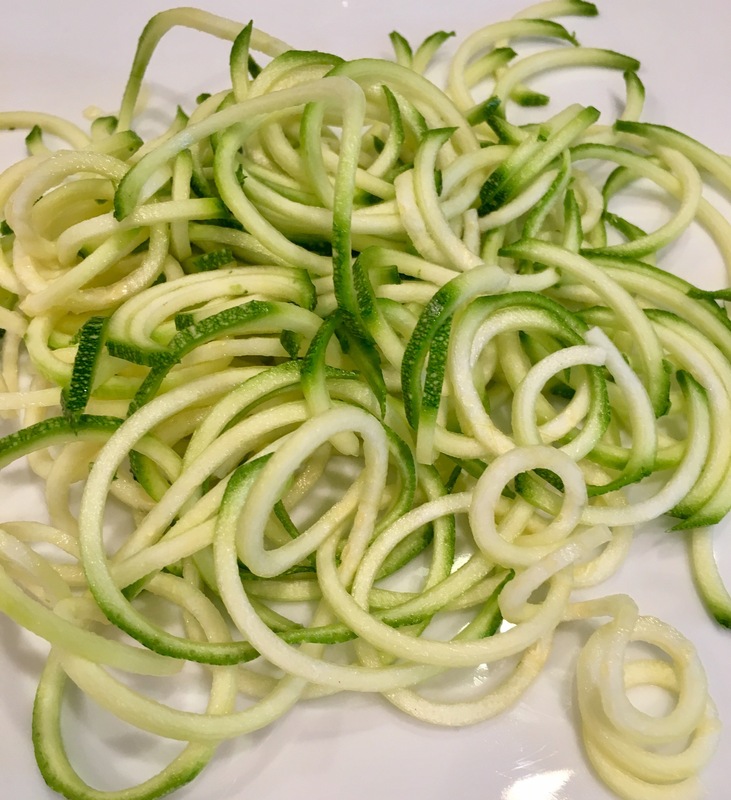 I checked at about 15 min, it needed some more time, so for another 10 minutes, I spiralized some zucchini to make fishies a nice bed. 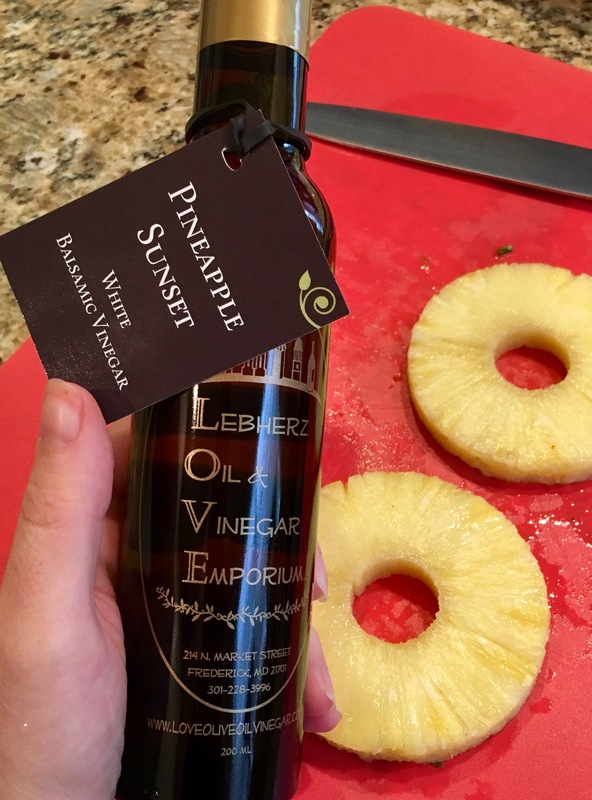 Their oils and vinegars are delish!! 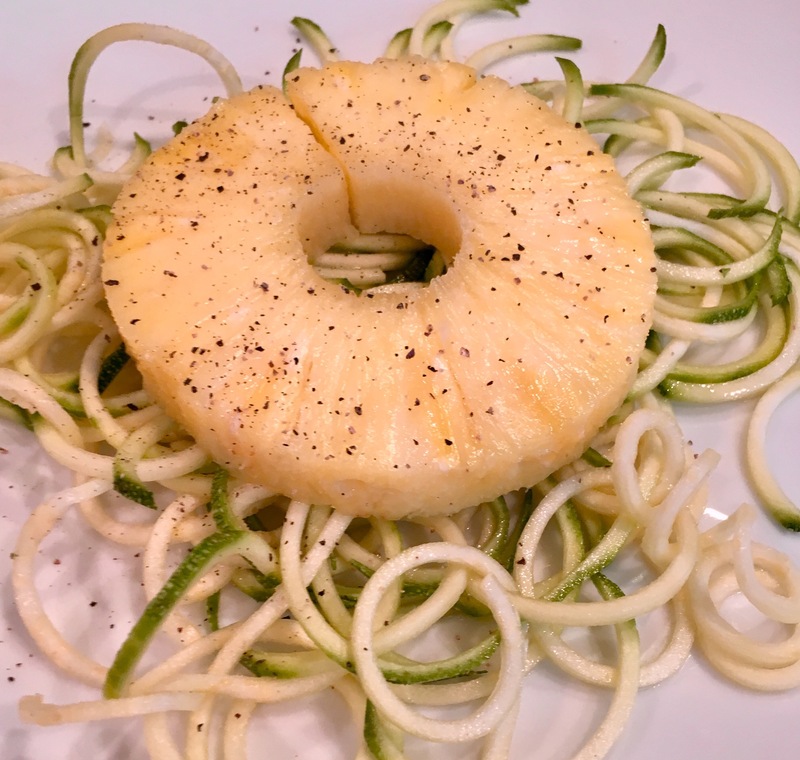 I placed fresh pineapple rings on the the zucchini noodle bed and a little fresh ground pepper. I had some yummy pineapple salsa I made the other day and sautéed that up while the fish was finishing up. It’s so exciting when you open a foil packet of steamy goodness like this!! Fish (if you’re not going sushi-style) is done when it falls apart easily but is still moist. 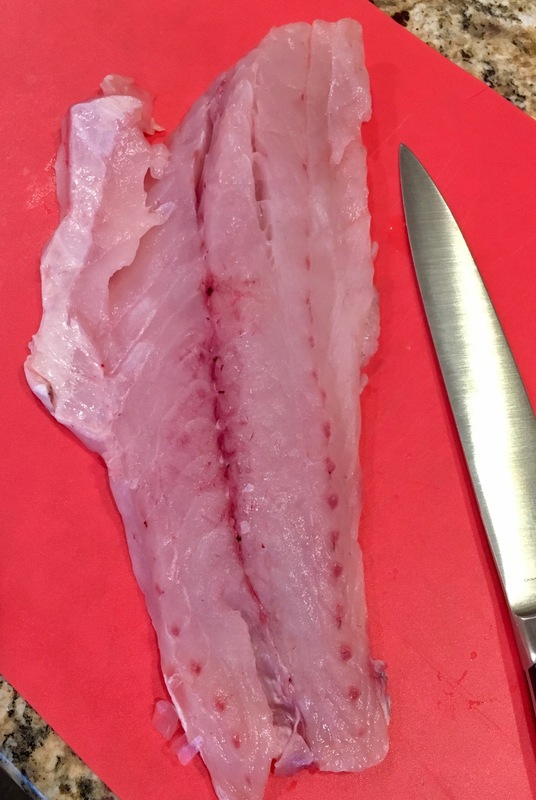 As long as a white-fleshed fish is white when you peek into it with a fork, it’s done. Don’t overcook the fish!! That’s the worst. This was done just right! 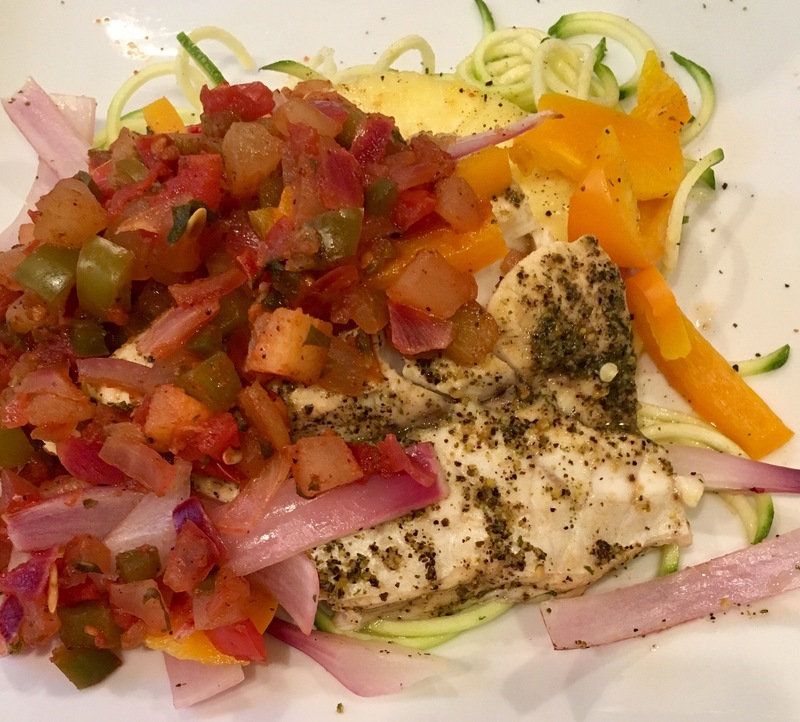 I gently placed the filets and the cooked onions and peppers on the bed of zucchini and pineapple and topped it all off with the pineapple salsa. 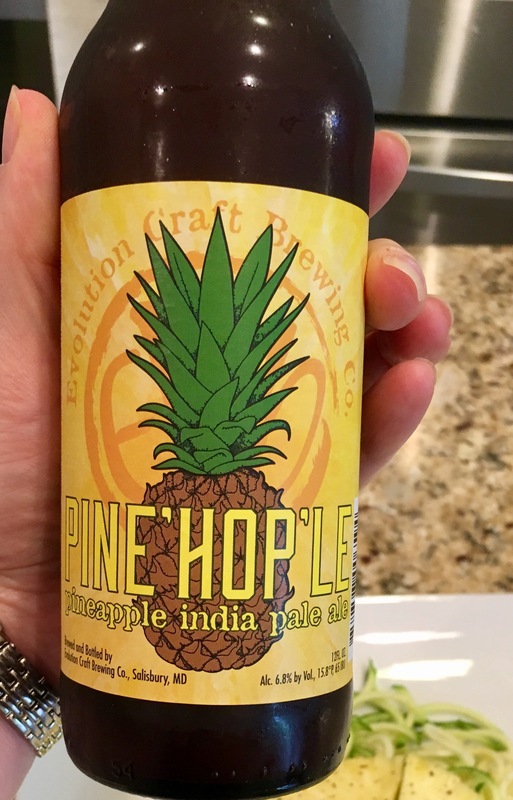 I even had a Pinapple IPA by Evolution Craft Breweing to pair with it!! How fortuitous!! 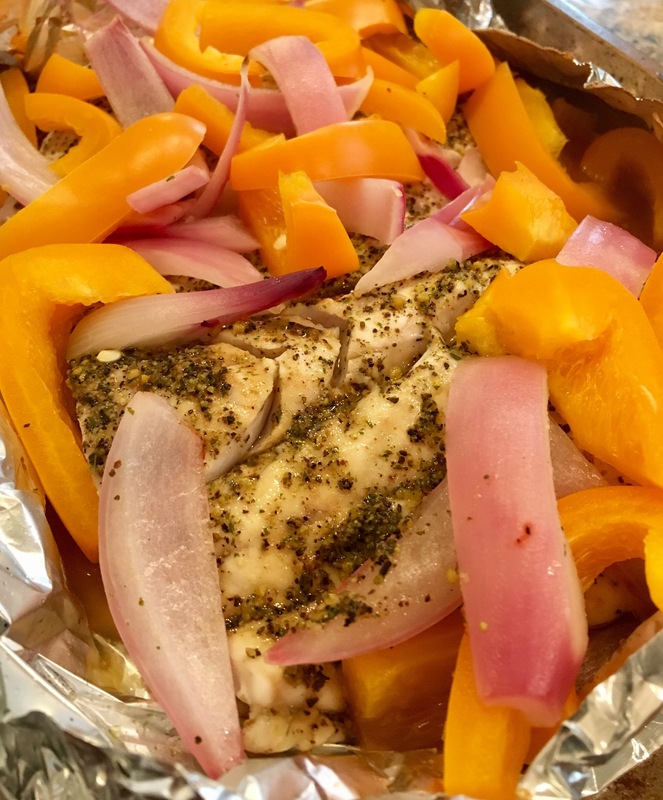 The freshness of the fish was clear, and the delicate fish flavor effortlessly peeked through the lemon pepper. A perfect bite of oceanic goodness! Thanks to my hot fisherman. He got a good meal out of all his hard work! !